With the help of our agents we will be able to find a suitable prospect, so you can obtain the best price for your property. This apartment is located in a gated community with 24h security. It has one bedroom, living room, dining room-kitchen, laundry area and a roof top terrace with panoramic view. The rent includes cable TV & one cleaning day a week. Located in a gated community with electric gates. The house has 3 bedrooms the master bedroom with walk in closet and private bathroom, 2 living rooms, dining room, kitchen with cabinets and laundry area. This small house is located in a very secure and exclusive residential community. It has 2 bedrooms, dining room- living room, kitchen and a small bar, laundry area and a one car garage and space for two cars up front. This house has 3 bedrooms, the master bedroom with private bathroom, two living rooms, dining room, kitchen, laundry area and a two car garage. Located near supermarkets, hardware stores, etc. 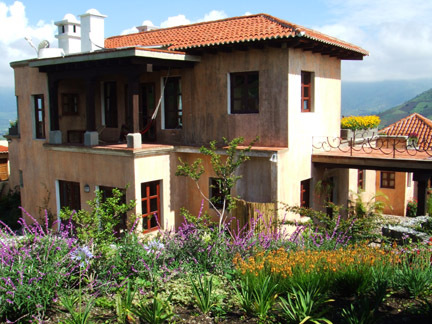 This is a fully furnished gorgeous house with a breathtaking views and gardens. It is available from a 1 week term for $ 500, 2 weeks $ 800 and up to a month for $1,100. Rent fee Includes Internet, cableTV and water. This is a very large house, is has 4 bedrooms, studio, main living room with chimney, secondary living room with terrace, maid quarters, laundry area and a 3 car garage, garden and panoramic view. Subscribe to our newsletter and get the latest news to your inbox. You can unsubscribe anytime. We are a boutique company providing Real Estate services in Guatemala; we look to provide excellent and high quality services. Whether you are looking for your first or second home, or you're representing a residential project, we will be able to help you. Copyright © 2013 Real Estate in Antigua. Website Made by Epic Web Studio.